How Long Do You Bake Salmon? 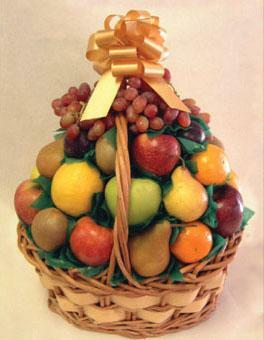 Fruit and vegetable gourmet gift baskets are healthy arrangements that have a long legacy. Delivering fresh produce in baskets is nothing new but many companies are giving the practice a gourmet twist. The gourmet arrangements are available in a number of different places, from local produce sellers to flower shops. Many online retailers feature fruit and vegetable arrangements. Some suppliers are seasonal and products can vary according to the time of year. Melissa's makes gift baskets of several different kinds of produce, including baby vegetable baskets, exotic and tropical fruit baskets, and baskets that contain fruits, vegetables, and other gourmet items such as jams and nuts. Pricing starts around $40 for the smaller fruit baskets and increases to about $150 for the more gourmet options. igourmet.com has a great option for someone who wants control over what goes in the basket, but doesn't feel like browsing the aisles of the local grocery or gourmet shop. Select their Create Your Own Basket option. You'll be charged $19.99 for the basket. Select from a variety of fruits and vegetable options that are charged per item cost, like Chipotle Carrots, Moroccan Pickled Beans, and Amarena Cherries, to create your basket. When the items ship, the company will artfully arrange them in the basket. Many options are non-perishable, making the basket a long-lasting gift. Underwood Family Farms has a variety of different fruit and vegetable baskets, including two baskets that come with a combination. Their baskets are all shipped overnight to guarantee freshness; they require a 72 hour order time to ensure they can get the best produce available together for you in time. Pricing starts around $55. Weaver's Orchard makes a variety of different gourmet gift baskets, including fruit, vegetable, fruit and vegetable, and custom options you can choose to pack with a variety of other items such as jams or nuts. Pricing starts below $10 for some of the more simple fruit plates, making it affordable for anyone. Contact them to see what's in season and available at any given time. In addition to the products you can order, you may also want to consider putting together your own fruit and vegetable gift basket. 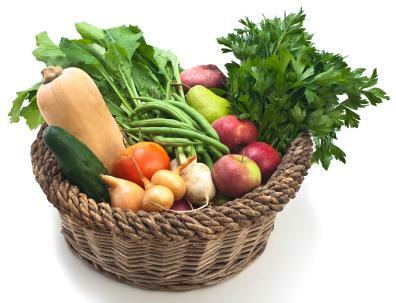 Making your own basket allows you to control for things such as personal preferences, seasonal items, or local produce. Select several options from those listed below and arrange together in a basket on top of a beautiful towel. If desired, add a fancy cutting tray, nuts, chocolates, or fresh French bread loaf for a special touch. Cover the basket with cellophane or tulle and tie with a bow to finish the basket. 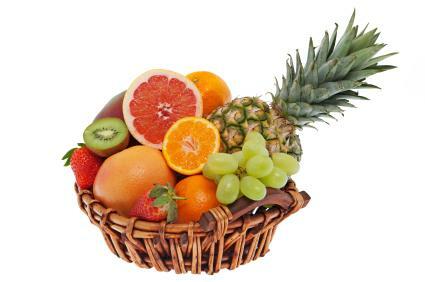 For a themed basket, focus on a single regional fruit and add complementing items. For example, create a Georgia peach gift basket containing pecans and preserves, and look for vegetables with Georgia Grown on the label to round out the included selections. If you have access to farm stands or a farmer's market, a selection of fresh, local and seasonal items may make the basket that much more special. Consider pairing sweet fruits with spicy vegetables for contrasting flavors in one basket. Thoughtful gourmet gifts are deeply appreciated, especially when the recipient's health and well-being are considered. 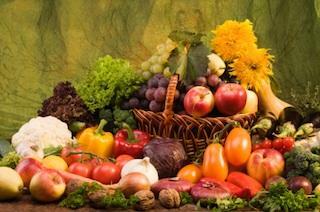 Fruit and vegetable gourmet gift baskets show exquisite taste and warmhearted intentions. Please help us improve. Why wasn't this page useful? © 2006-2019 LoveToKnow, Corp., except where otherwise noted. All Rights Reserved.